August 16, 2014 – (, RAF Molesworth, Other / Non-US , UK) – Mid-Level All Source Intelligence Analyst Click here for full details. August 16, 2014 – (, Norfolk, Virginia , US) – Integrated Maritime Portable Acoustic Scoring and simulator Program support (IMPASS) Team Click here for full details. August 16, 2014 – (, San Diego, California , US) – Expeditionary Warfare Training (EWT) Training Team (NECC/Expeditionary Training Group (ETG)Click here for full details. August 16, 2014 – (, Mayport, Florida , US) – ATG Support Team Click here for full details. August 16, 2014 – (, Hingham, MA , US) – Security Analyst – Medicare Click here for full details. August 18, 2014 – (, San Diego, California , US) – Fleet and JTT Support Team (PAC) Click here for full details. August 15, 2014 – (, Pearl Harbor, Hawaii , US) – Fleet and JTT Support Team (PAC) Click here for full details. August 15, 2014 – (, Washington, Dist. Columbia , US) – Program Manager SP12-0579-0190 Click here for full details. August 15, 2014 – (The University of Texas at El Paso, El Paso, TX 79968, USA) – Instrumentation Technician – 10021928 Click here for full details. August 15, 2014 – (The University of Texas at El Paso, El Paso, TX 79968, USA) – Groundskeeper I – 10018675 Click here for full details. August 15, 2014 – (The University of Texas at El Paso, El Paso, TX 79968, USA) – Maintenance Worker I – 10021000 Click here for full details. August 15, 2014 – (The University of Texas at El Paso, El Paso, TX 79968, USA) – Auxiliary Services Support – 10024496 Click here for full details. August 15, 2014 – () – Construction Management, multiple positions and locations in Japan. Click here for full details. August 15, 2014 – (The University of Texas at El Paso, El Paso, TX 79968, USA) – Student Intake & Support Coordinator – 10022746 Click here for full details. August 15, 2014 – (, Norfolk, Virginia , US) – Fleet and JTT Support Team (LANT) Click here for full details. August 15, 2014 – (, San Diego, California , US) – Fleet and JTT Support Team (LANT) Click here for full details. August 15, 2014 – (, Norfolk, Virginia , US) – Fleet Synthetic Training Team Click here for full details. August 15, 2014 – (, Falls Church, Virginia , US) – Functional Area Analyst”Junior (Medical) Click here for full details. August 15, 2014 – (The University of Texas at El Paso, El Paso, TX 79968, USA) – Accounting Clerk II – 10021829 Click here for full details. August 15, 2014 – (, Norfolk, Virginia , US) – Expeditionary Warfare Training (EWT) Training Team (NECC/Expeditionary Training Group (ETG) Click here for full details. August 15, 2014 – (, Fallon, Nevada , US) – Aviation Range Support Team Click here for full details. August 15, 2014 – (Huntsville International Airport, Huntsville, Alabama 35824, United States) – Full Time Aircraft Fueler- Huntsville International AirportClick here for full details. August 15, 2014 – (TN, Tullahoma, TN , ) – Propulsion Design & Flight Test Support Engineer Needed Click here for full details. August 15, 2014 – (5801 ALLENTOWN RD , CAMP SPRINGS, MARYLAND 20746, USA) – Click here for full details. August 15, 2014 – (Camp Lejune/Camp Pendleton , Camp Lejune/Camp Pendleton, , ) – TBMCS Instructor Click here for full details.  August 15, 2014 – (Norfolk, VA, Norfolk, VA 23511, ) – General Laborer (Temporary) – Norfolk, VA (2766) Click here for full details. August 15, 2014 – (Gulfport, MS, Gulfport, MS 39501, ) – Warehouse Specialist – Gulfport, MS (2765) Click here for full details. August 15, 2014 – (, Ogden, Utah , US) – Program and Logistics Manager Click here for full details. August 15, 2014 – (, Dayton, Ohio , US) – Acquisition Logistician Click here for full details. August 15, 2014 – (, Dayton, Ohio , US) – Financial Manager Click here for full details. August 15, 2014 – (, Norfolk, Virginia 23501, United States) – ATG Support Team Click here for full details. August 15, 2014 – (, Palo Alto, California 94304, United States) – Controller/Financial Operations and Compliance Click here for full details. August 15, 2014 – (, Blacksburg, Virginia 24061, United States) – Associate Director for University Design and Construction Click here for full details. August 15, 2014 – (, Los Angeles, California 90095, USA) – Strategic Sourcing Analyst Click here for full details. August 14, 2014 – (, Kent, Washington 98032, United States) – MIG Welder 2014-1701 Click here for full details. August 14, 2014 – (, Aurora, Colorado 80010, United States) – Delivery Driver Class A 2014-1700 Click here for full details. August 14, 2014 – (, Tualatin, Oregon 97062, United States) – Receptionist 2014-1699 Click here for full details. August 14, 2014 – (, Tukwila, Washington 98188, United States) – Administrative Assistant 2014-1698 Click here for full details. August 14, 2014 – (, Spokane, Washington 99206, United States) – Maintenance Tech 2014-1697 Click here for full details. August 14, 2014 – (, Clackamas, Oregon 97015, United States) – Forklift Operator (Clackamas, OR) 2014-1695 Click here for full details. August 14, 2014 – (, Tacoma, Washington 98424, United States) – Forklift Operator (Tacoma, WA) 2014-1694 Click here for full details. August 14, 2014 – (, Clackamas, Oregon 97015, United States) – General Laborer (Clackamas,OR) 2014-1693 Click here for full details. August 14, 2014 – (, Tacoma, Washington 98424, United States) – General Laborer (Tacoma, WA) 2014-1692 Click here for full details. August 14, 2014 – (, Kent, Washinton 98032, United States) – General Laborer – Food Production 2014-1686 Click here for full details. August 14, 2014 – (, Tacoma, Washington 98424, United States) – Production Worker – Essence Team (Tacoma, WA) 2014-1684 Click here for full details. August 14, 2014 – (, Seattle, Washington 98101, United States) – Accounts Receivable File Clerk 2014-1683 Click here for full details. August 14, 2014 – (, Kirkland, Washington 98033, United States) – QA Manager 2014-1680 Click here for full details. August 14, 2014 – (, Maui, Hawaii 96732, United States) – Service Technician 2014-1679 Click here for full details. August 14, 2014 – (, Seattle, Washington 98101, United States) – Call Center/Sales Desk Rep. 2014-1658 Click here for full details. August 14, 2014 – (, Magnolia, Texas 77353, United States) – Heavy Forklift Operator – Pipe Specialist (Tomball, TX) 2014-1654 Click here for full details. August 14, 2014 – (, Bellingham, Washington 98225, United States) – General Laborer 2014-1652 Click here for full details. August 14, 2014 – (, Bellingham, Washington 98225, United States) – Operations Assistant (Bellingham, WA) 2014-1651 Click here for full details. August 14, 2014 – (, Woodinville, Washington 98072, United States) – Plant/Production Manager 2014-1649 Click here for full details. August 14, 2014 – (, Dayton, Ohio , US) – Avionics Engineer Click here for full details. August 14, 2014 – (, Portland, Oregon , United States) – Field Service Engineer Click here for full details. August 14, 2014 – (, Santa Clara, California , United States) – Field Service Engineer Click here for full details. August 14, 2014 – (, Malta, New York , United States) – Customer Engineer Click here for full details. August 14, 2014 – (, Norfolk, Virginia , US) – ATG Support Lead Click here for full details. August 14, 2014 – (, Norfolk, Virginia , US) – ATG Support Team Click here for full details. August 14, 2014 – (, Dayton, Ohio , US) – Acquisition Manager Click here for full details. August 14, 2014 – (, Norfolk, Virginia , US) – SLAMEX Program Support Lead Click here for full details. August 14, 2014 – (, San Diego, California , US) – Expeditionary Warfare Training (EWT) Training Lead (NECC/Expeditionary Training Group (ETG)Click here for full details. August 14, 2014 – (Hanahan, SC, Hanahan, SC 29410, ) – DrafterCAD Operator II (110-817) Click here for full details. August 14, 2014 – (, Carlsbad, NM 88220, ) – Sr. Systems Analyst (109-817) Click here for full details. August 14, 2014 – (, Norfolk, Virginia , US) – Expeditionary Warfare Training (EWT) Training Lead (NECC/Expeditionary Training Group (ETG) Click here for full details. August 14, 2014 – (, Norfolk, Virginia , US) – CNETS Support for Training Lead Click here for full details. August 14, 2014 – (University of Texas at El Paso , El Paso, Texas 79968, United States) – Administrative Assistant I – 10064088 Click here for full details. August 14, 2014 – (University of Texas at El Paso , El Paso, T. 79968, United States) – Scholarship Assistant-10021869 Click here for full details. August 14, 2014 – () – ITSM Service Strategy Lead (Jacobs) Click here for full details. August 14, 2014 – (, Norfolk, Virginia , US) – QFF (Quantitative Fleet Feedback) Program Support Lead Click here for full details. August 14, 2014 – (, Norfolk, Virginia , US) – Ballistic Missile Defense (BMD) Team Lead Click here for full details. August 14, 2014 – (, Pensacola, Florida , US) – Information Dominance Training Lead Click here for full details. August 14, 2014 – (, Stafford, Virginia 22554, United States) – SPA Network Architecture/Riverbed Resource Consultant Click here for full details. August 14, 2014 – (, Norfolk, Virginia , US) – Link/Air Defense BMD Training Policy Lead Click here for full details. August 14, 2014 – (, Pensacola, Florida , US) – Information Dominance Training Team Click here for full details. August 14, 2014 – (, Ft. Collins, CO , US) – Systems Software Engineer Click here for full details. August 14, 2014 – (, Littleton, MA , US) – Systems Software Engineer Click here for full details. August 14, 2014 – (, Colorado Springs, CO , US) – User Interface Software Development Engineer Click here for full details. August 14, 2014 – (, San Diego, California , US) – QFF (Quantitative Fleet Feedback) Program Support Team Click here for full details. August 14, 2014 – (, Falls Church, Virginia , US) – Business Process Engineer “Junior Click here for full details. August 14, 2014 – (, San Diego, California , US) – SLAMEX Program Support Team Click here for full details. August 14, 2014 – (, Groton, Connecticut , US) – Information Dominance Training Team Click here for full details. August 14, 2014 – (, San Diego, California , US) – Information Dominance Training Team Click here for full details. August 13, 2014 – (, Camp Lejeune, North Carolina 28547, United States) – Network Engineer Click here for full details. August 13, 2014 – (, Raleigh, North Carolina , United States) – Microsoft Project Server Analyst Click here for full details. August 13, 2014 – (, Washington, District of Columbia , United States) – IT Portfolio & Investment Management Consultant Click here for full details. August 13, 2014 – (Orlando International Airport, Orlando, Florida 32827, United States) – Part Time Box Truck Drivers Click here for full details. August 13, 2014 – (, Washington, District of Columbia , United States) – Executive Communications/Management Consultant Click here for full details. August 13, 2014 – (Norfolk, VA, Norfolk, Virginia , USA) – IA Compliance Support Analyst Click here for full details. August 13, 2014 – (Dulles International Airport, Dulles, Virginia 20166, United States) – Full Time Pipeline Technician Click here for full details. August 13, 2014 – (Norfolk, VA, Norfolk, Virginia , USA) – Business Systems Analyst Click here for full details. August 13, 2014 – (Norfolk, VA, Norfolk, Virginia , USA) – COGNOS Database Specialist Click here for full details. August 13, 2014 – (The University of Texas at El Paso, El Paso, TX 79968, USA) – Enterprise Technology Customer Support Representative – 10019247 Click here for full details. August 13, 2014 – (Norfolk, VA, Norfolk, Virginia , USA) – Research Analyst Click here for full details. August 13, 2014 – (Pentagon , Arlington, Virginia 20003, United States) – Enterprise Architect Click here for full details. August 13, 2014 – (, St. Louis, MO , ) – Account Manager Click here for full details. August 13, 2014 – (, St. Louis, Missouri , ) – Logistics Coordinator (Third Shift) Click here for full details. August 13, 2014 – (Indianapolis International Airport, Indianapolis, Indiana 46241, United States) – Now Hiring! Full Time Aircraft Fuelers Click here for full details. August 13, 2014 – (, Mayport, Florida , US) – CNETS Support for Training Team Click here for full details.